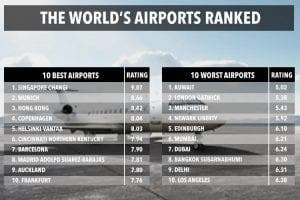 THE UK has three of the world’s worst airports, according to a new study. London Gatwick has been ranked as the second-worst in the world after Kuwait. The third-worst was Manchester, followed by Edinburgh at number five. 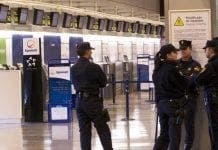 Meanwhile, Spain’s Barcelona and Madrid airports ranked top in the top 10, at seventh and eighth place respectively. Flight compensation legal services company AirHelp ranked 76 airports by punctuality, quality and service, as well as the social media sentiment of over 130,000 tweets over three months of this year. Malaga was not analysed in the study, while Palma de Mallorca was ranked 40th. Seriously? A website run by professional (if that’s the word) ambulance chasers makes up a clickbait survey and the Olive Press fall for it? How dozy can you get? I travel a lot and can understand why Manchester is in there. They have the most officious people in their security checks. The lines move so slow that I am surprised more people don’t miss their planes. 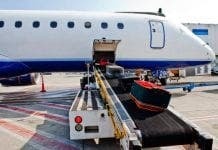 I am sure the shopkeepers and bar/restaurant owners inside the airport just love watching people come out of security and have to run for their planes. However Paris CdG should be in there. Most unprofessional and disorganised airport I have been through and that’s a lot. Madrid and Barcelona are ok for international flights but if you ever have to do an internal one sheesh – more like being in a doctors waiting room than an airport. Gatwick is a disaster, but Heathrow is not any better. Anyway, the worst is that aerodrome (you can’t call it airport) they have in gibraltar.